Medi Healthcare Solutions is Rapidly Growing! We are a call center, specialized in supporting insurance agencies and their agents; Our clients help people with Medicare find the plan that best suits their needs. 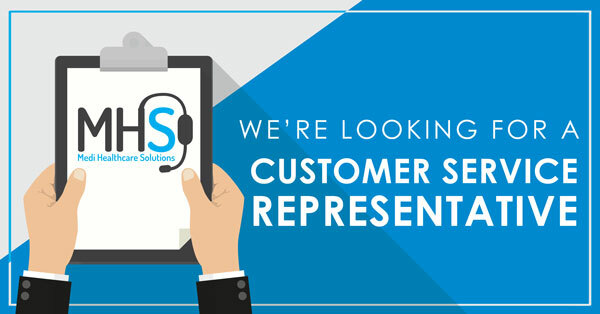 We are hiring experienced Customer Service Representatives to join our Team! If you are a hard working professional, MHS is a great place to grow your career. We offer full time positions, paid training and bonuses throughout the year. Lead management; Work assigned (company generated) leads in a timely manner directed by management. Maintain up to date and clear information about assigned leads in company lead management system. Complete the necessary calls to achieve/Exceed your monthly sales target (as instructed by management). Follow up on your book of business within the time allocated by management. Communicate with field sales representatives to provide pertinent information. Must be able to set appointments for pre-existing clients and new prospects for health care insurance. We require AGGRESSIVE, SELF MOTIVATED AND DEPENDABLE Individuals that have call center experience (inbound and outbound). We are looking for a phone pro who knows how to make the most of opportunities. Company offers growth through training and assistance in licensing for health & life Insurance.